Have you heard about the flu shot that lasts your whole life? Scientists have been hard at work trying to develop a flu shot that lasts a lifetime. They've made very good progress in their efforts to develop the vaccine that one day might eliminate the need for anyone to get flu shots every year ever, a new study reports. 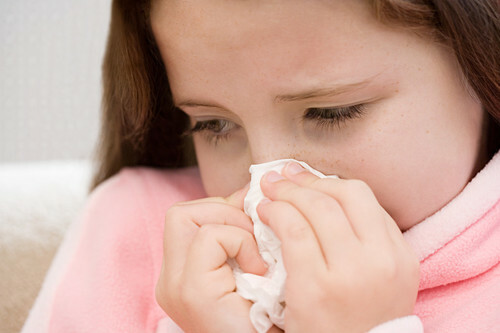 The researchers developed a way to trigger immune system antibodies to fight a wide range of flu subtypes. They said the approach proved effective in tests on rodents and monkeys. In the lab animals, this approach even produced antibodies against H5N1 bird flu, the study noted. The journal Science published the findings earlier this week. Keep reading to learn more. Janssen Pharmaceuticals funded the study. Researchers from Janssen are working with scientists from The Scripps Research Institute in La Jolla, US, to develop the vaccine. “This study shows that we’re moving in the right direction for a universal flu vaccine,” Ian Wilson, professor of structural biology and chair of the department of integrative structural and computational biology at The Scripps Research Institute, said in an institute news release. The researchers targeted a protein that’s found on the surface of all subtypes of flu viruses and enables the viruses to enter cells. The protein goes by the name of hemagglutinin (HA). The scientists zeroed in on the “stem” region of HA, which connects the virus to cells. “If the body can make an immune response against the HA stem, it’s difficult for the virus to escape,” Wilson said. The next step in this research is to determine if this approach is effective in people, Wilson added. Animal research findings do not always translate to humans. “While there is more work to be done, the ultimate goal, of course, would be to create a life-long vaccine,” Wilson said. Each year in the United States, seasonal flu causes more than 200,000 hospitalisations and 36,000 deaths, according to the US Centers for Disease Control and Prevention. Currently, scientists create a vaccine each year to protect against the handful of flu strains that are predicted to be the most common during that flu season. And the vaccine makeup is determined months in advance so that manufacturers have time to make the millions of doses needed. During the 2014-2015 flu season, the chosen vaccine was not a good match for the strains that were circulating. So it was only 18.6% effective against the predominant strain, according to the CDC. US health officials have said they have ramped up next season’s shots for broader protection.